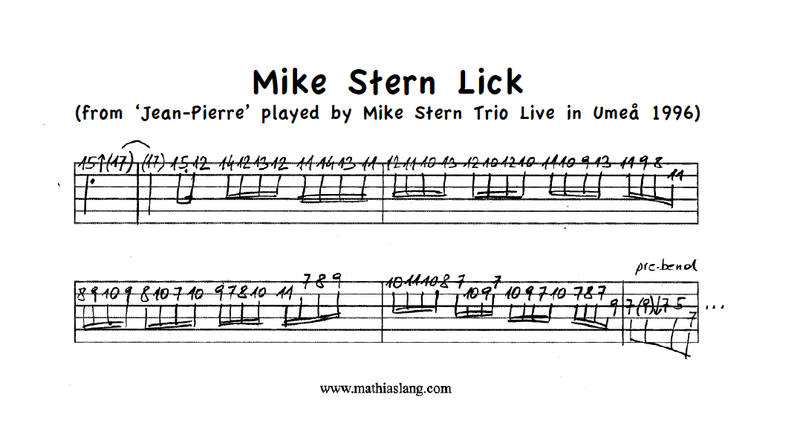 When I first heard it, I thought this is exactly what is so typical of Mike Stern's fusion playing: a lot of chromaticism and outside notes in a relentless sixteenth rhythm, resolving into some bluesy phrase. By the way, the lick is in A. There is just a bass groove being played in the background, but the implied harmony is A7/#9.